Market Intelligence, our comprehensive CE accredited platform, provides the information and tools you need to engage with your clients about fixed income. 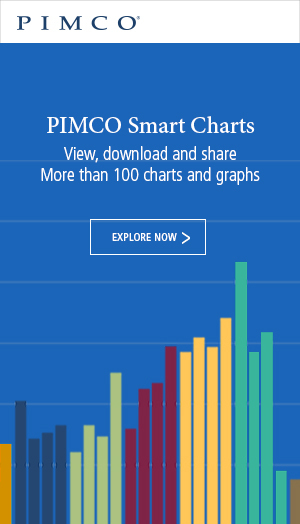 PIMCO is one of the world’s premier fixed income investment managers. With our launch in 1971 in Newport Beach, California, PIMCO introduced investors to a total return approach to fixed income investing. In the 45+ years since, we have continued to bring innovation and expertise to our partnership with clients seeking the best investment solutions. Today, we have professionals in 14 offices around the globe united by a single purpose: creating opportunities for investors in every environment. Quick Takes - Are Fears of Higher Rates Overdone? Rates: How Fast and How Far Will They Rise? PIMCO provides services only to qualified institutions and investors. This is not an offer to any person in any jurisdiction where unlawful or unauthorized. Past performance is not a guarantee or a reliable indicator of future results. All investments contain risk and may lose value. Investing in the bond market is subject to risks, including market, interest rate, issuer, credit, inflation risk, and liquidity risk. The value of most bonds and bond strategies are impacted by changes in interest rates. Bonds and bond strategies with longer durations tend to be more sensitive and volatile than those with shorter durations; bond prices generally fall as interest rates rise, and the current low interest rate environment increases this risk. Current reductions in bond counterparty capacity may contribute to decreased market liquidity and increased price volatility. Bond investments may be worth more or less than the original cost when redeemed. Equities may decline in value due to both real and perceived general market, economic and industry conditions. Derivatives may involve certain costs and risks, such as liquidity, interest rate, market, credit, management and the risk that a position could not be closed when most advantageous. Investing in derivatives could lose more than the amount invested. For a complete description of the risks associated with a particular Fund, please refer to the Fund’s prospectus. This material contains the opinions of the manager and such opinions are subject to change without notice. This material has been distributed for informational purposes only and should not be considered as investment advice or a recommendation of any particular security, strategy or investment product. Statements concerning financial market trends are based on current market conditions, which will fluctuate. Information contained herein has been obtained from sources believed to be reliable, but not guaranteed. No part of this material may be reproduced in any form, or referred to in any other publication, without express written permission.